This post is in partnership with Cost Plus World Market, a brand I love. All options here are my own. Over the past few years, I have really enjoyed trying beers from all over the world. There really is a beer out there for everyone. My friends and I used to go to a local bar that served a huge variety of global beers. We would watch all of the big games there but now we tend to hang out at each others’ homes. That got me thinking. Why not bring all of that fun and those memories to our tailgating and game day celebrations? And even better – make it a themed Beers of the World bar?! There are 4 main things you need to put together your game day Beers of the World Bar – global beer, glassware, tools, and game day snacks. When putting together a beer bar, the first thing you should decide on is which global beers. Cost Plus World Market has a huge array of beer from many different countries. 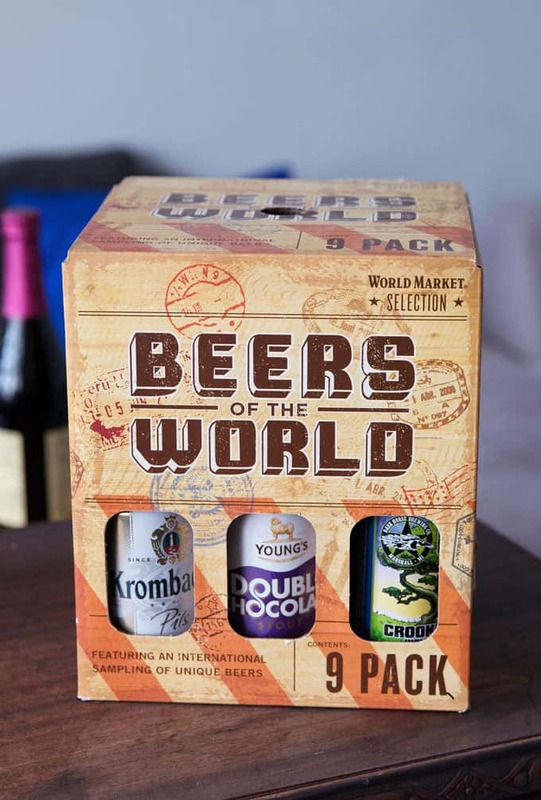 You can put together your own 6-pack of beer or you can purchase one or two of their Beers of the World 9-packs. 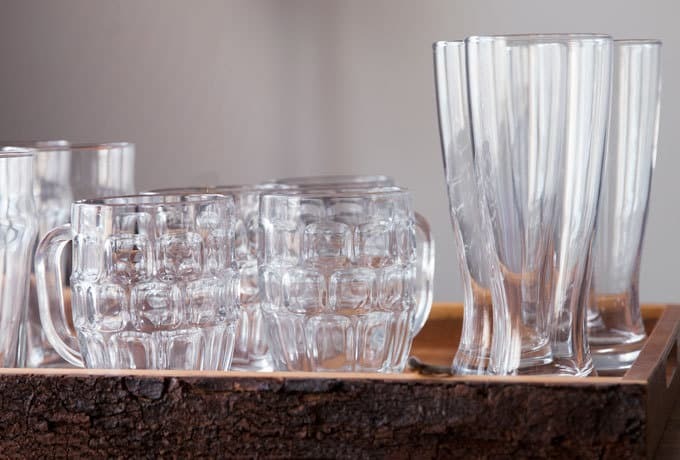 When putting together your Beers of the World bar, purchase glassware that is suitable for multiple beer types. Breweries often recommend specific glassware for each of the beers they make. If you have fancy, fruity beers like Lindeman’s Framboise, add some stemless wine glasses to your tray. 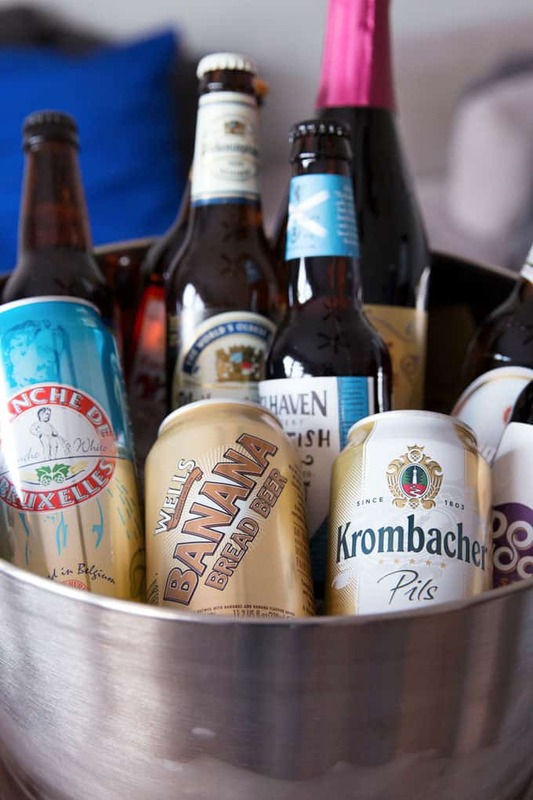 Display the beer in a large tub – I particularly like using a galvanized tub filled with ice. Store your extra beer bottles and cans in the refrigerator and refill as needed. Use a large tray to hold all of your glasses. A tray is a great way to present all of the steins and pint glasses to your guests. Also, don’t forget bottle openers! 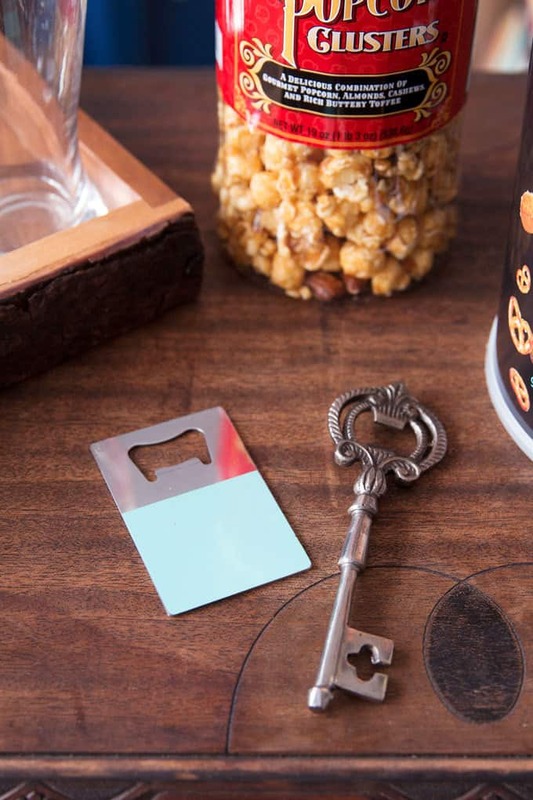 Colorful or decorative bottle openers are a great way to add color to your display. You can’t have a tailgating party without some game day snacks. 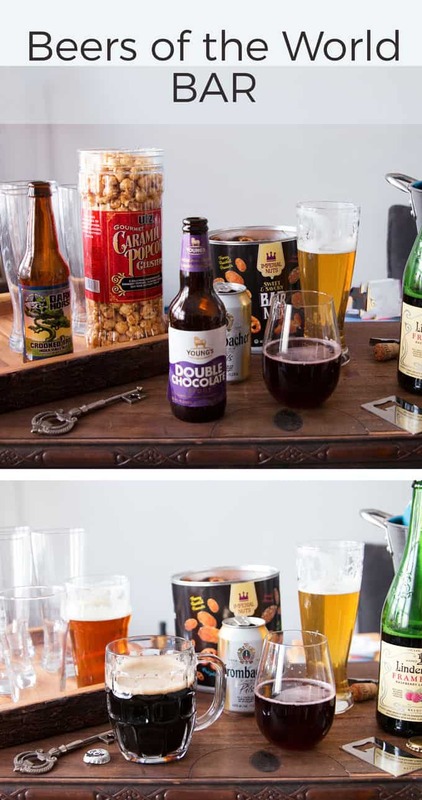 I love pairing salty and sweet foods with beer. 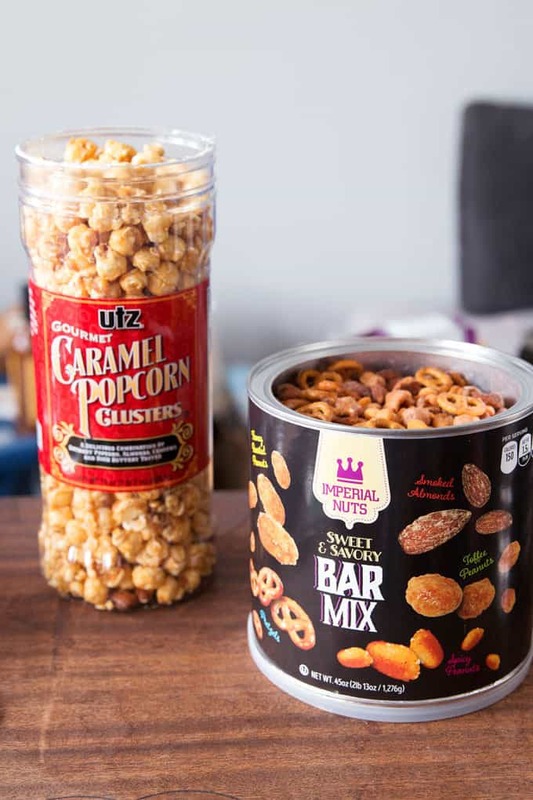 Packaged bar mixes that have peanuts, popcorn or pretzels will get your guests wanting to keep trying the different global beers you have available. 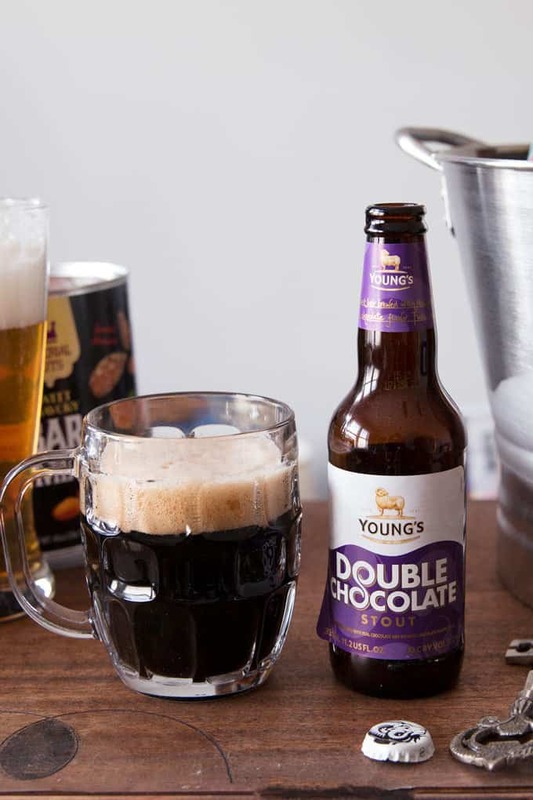 Consider adding an easy dip recipe to your Beers of the World bar too. 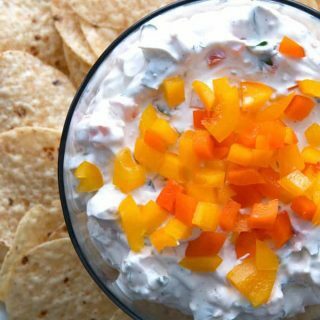 This recipe for easy sweet pepper dip is a great way to add a sweet and salty food to your party. Serve it with tortilla chips! 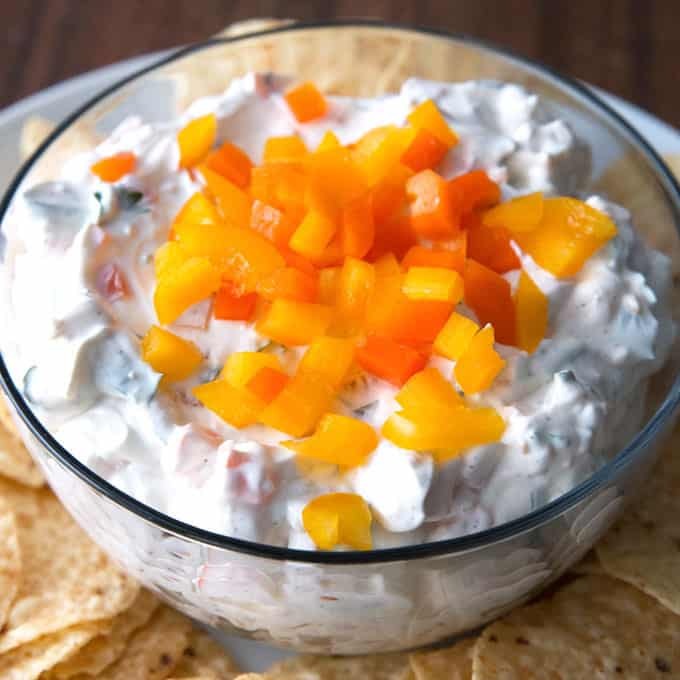 This recipe for easy sweet pepper dip is a great way to add a sweet and salty food to your party. Serve it with tortilla chips! In a medium bowl, stir the cream cheese and sour cream until well combined. Stir in the remaining ingredients. Cover and refrigerate for 2 hours before serving. I found all of these items at my local Cost Plus World Market store. I always go to the Chicago Lincoln Park store; the staff there is so nice. Find your local store using the store locator or shop the post below! I love these ideas! That Wells Banana Bread beer is one of my favorites. 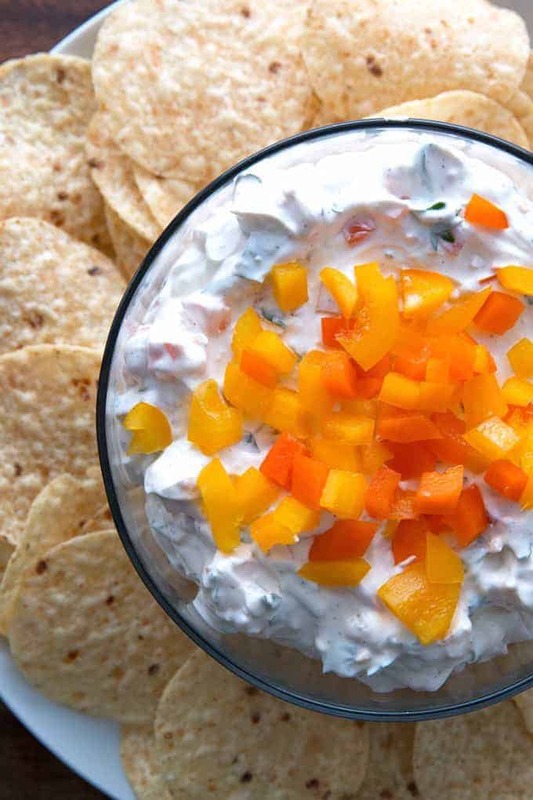 🙂 The sweet pepper dip sounds delicious too.